Birdback teams up with Braintree for 3-day payments hackathon. Indiana Members CU chooses Jack Henry & Associates’ Symitar for in-house core processing. Keynote DeviceAnywhere adds mobile scripting, UI enhancements. VoiceTrust moves operational headquarters to Canada, opening offices in Toronto and Montreal. Figlo expands partnership with Yellowtail Consulting to enable stronger focus on South Africa. Wipit partners with Sprint/ Boost Mobile to bring mobile payment capability to cash-preferred consumers. 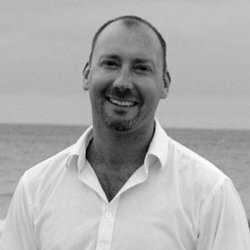 Virtual Piggy signs first UK partners, Toy Galaxy and Toadstool. eToro granted UK financial regulation approval from the Financial Conduct Authority (FCA). Tyfone releases Connected Smart Card solution to allow FIs to enhance user ID info used to access sensitive data. Tradeshift partners with Invoiceware International to deliver compliant e-invoice validation in Latin America. BillGuard to integrate with Google Wallet for transaction monitoring. SigFig Portfolio adds support for Windows Phone. Metaforic’s self-defending software immune system named the Gold winner by Info Security Products Guide’s 2013 Global Excellence Awards. Worldwide Insure names Expensify the February Travel App of the Month. TIO Networks expands Services with First Data’s Money Network Prepaid Services. Bloomberg Television interviews Klarna CEO Sebastian Siemiatkowski. CashStar co-founder, CEO David Stone to lead panel on mobile shopping and gifting at Prepaid Expo. AEGON Turkey insurance sales processes go mobile with Figlo tablet solution. Lending Club appoints former Visa President as Director. Apps from BBVA Compass, Pageonce, and Simple highlighted in American Banker’s list of the top ten, most progressive mobile banking apps. My Money Blog reviews Jemstep Portfolio Manager. Co-founder and CEO of Birdback, Nicolai Watzenig named guest speaker at eDeal Summit. Cachet Financial Solutions integrates with CU Mobile Apps, a provider of mobile banking solutions. Finextra reports SafetyPay opens up to German-speaking markets. Lendio reports 2012 growth metrics. Expensify listed as 1 of 4 apps to helps save and manage your money. TechFaster interviews BillGuard CMO Mary Anne Keegan. Business Insider interviews Josh Reich, Simple founder and CEO. Xero makes Bank Reconciliation available to Android users. edo Interactive’s new Marketplace platform targets small, local businesses. Check out Finovate’s infographic of FinovateEurope 2013 innovation themes. Billhighway named as finalist in the 2013 Stevie Awards for Sales & Customer Service. CashStar reports record holiday season; 800% increase in mobile eGift Card purchases. Continuity Control partners with Community BancService Corporation. TSYS technology at work in Visa’s Saral Money program in India. Rabobank launches Figlo-powered widgets for online banking homepage. BrightScope ranks top 25 law firms with highest-rated 401(k) plans. Jemstep launches new Portfolio Manager service. Aite Group names ACI Worldwide “Vendor to Watch” in 2013.
Business News Daily takes a look at Comarch Altum. Acculynk‘s PayLeap now features API developer integration tools. Figlo is 1 of 16 companies to join a global alliance with Microsoft. American Banker reports Simple Enacts New Security Features. All Things D lists Tuition.io as 1 of 2 companies to help college grads with empty pockets. Netbanker reports: Movenbank Provides a Peek at its User Interface. Come check it out at FinovateEurope, less than 2 weeks away. Experian extends Precise ID fraud prevention to online Social Security related services. Mitek to power US Bank’s mobile photo bill pay; launching early 2013. Fiserv reaches milestone, delivers 2 billionth e-bill. The Financial Brand looks at Knab’s online bank that runs on Figlo’s platform. The city of Cincinnati partners with SoMoLend to support small businesses. US Airways implements MasterCard PayPass for in-flight purchases. Keynote Systems DeviceAnywhere now integrated with HP’s QuickTest Professional. “Figlo announced the global launch of their tablet solution for Financial Product Advice. Figlo offers insurance companies a leading edge tablet application for financial product advice which gives a quick overview of the client financial situation and facilitates product advice and sales. InComm celebrates 21 years in the payments industry. Backbase introduces My Backbase, a platform supporting integrators, partners, professionals, prospects and customers. ID Analytics and iovation partner to fight online fraud. Yodlee strengthens management team with three key executives. The Financial Brand features SaveUp’s saving gamification model. Monitise announces partnership with eMerit Solutions. Fenergo enhances FATCA Compliance Solution with auto-classification. Cortera appoints Gary Brooks as Chief Marketing Officer. Entrepreneur Magazine features the success of a business recieving financing through Lighter Capital. Geezeo signs Riverside Community CU. Money Marketing takes an in-depth look at FinovateFall demos. MyBankTracker reports MoneyDesktop launches Sleek Mobile Apps. New Dutch bank uses Figlo Platform to offer online financial overview. Citi using Statement Rewards from Truaxis to bring card linked offers to cardholders. InComm & ValuAccess partner to expand prepaid market in Hong Kong. Las Vegas Review-Journal reports Kabbage helps e-tailer keep the orders moving. FreeMonee wins Bronze Stevie Award in 2012 American Business Awards. ChecknGo FinLab Blog interviews Casper Wong of CommunityLend. Capital Access Network announces increased availability of small business loans through subsidiary, NewLogic Business Loans. Bill.com named 2012 Product of the Year by the Business Intelligence Group. This month, we interviewed the CEO of Figlo, Albert van den Broek, to gain insight into Figlo’s global wealth management strategy. Van den Broek has served as CEO for over 5 years, during which time Figlo has demoed its platform at FinovateEurope 2011 (demo), FinovateSpring 2011 (demo), and FinovateEurope 2012 (demo). 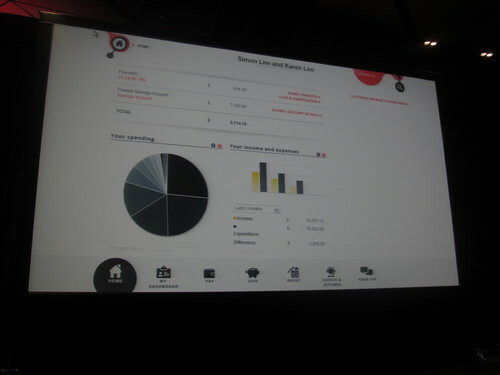 Finovate: We last had Figlo onstage at Finovate this February at our 2012 London conference where you demoed your new consumer portal. What has been the overall response to your new platform in the last several months? van den Broek: We’re getting a lot of positive feedback regarding our latest development of the Figlo Platform. Actually, the Facebook integration of PFM and financial planning we did show at FinovateEurope is just one of the possibilities our platform does offer, and showed that the platform enables banks to interact with their (potential) clients where they spend most of their time, for instance on Facebook. The flexibility of the Figlo Platform, together with the ability to add financial planning and product advice to PFM is unique.. It’s ‘beyond PFM’ what we offer; exactly what the financial industry currently needs. Finovate: Over the next few years, how do you see the wealth management technology evolving? van den Broek: We experience an increasing demand for solutions that are simple, transparent and focus on the client’s actual needs. At the same time, these solutions need to be compliant and able to be used for self-service concept as well as for the professional advisory market, and be device agnostic. Current mainstream wealth management solutions will have a challenge to deal with this changing environment as most solutions focus on the communication of current and future asset allocation only. Our main mission is to offer solutions that create a holistic financial insight for everyone. They need to cover all slices of the total pie. We invested years to build a platform that covers all mentioned aspects, seamlessly integrated. Finovate: Figlo has a geographically diverse global customer list. What sort of differences are you seeing in financial technology innovation in different regions? van den Broek: Although our clients are diverse, and we need to deal with a lot of cultural aspects, the need for a better understanding of the personal financial situation is universal. The world is growing smaller and smaller in this respect. Emerging economies like the BRIC countries do have the benefit of starting from scratch with the most modern solutions, where the U.S. and E.U., for instance, do suffer from a lot of legacy in terms of accessing the information that is needed to create a complete financial picture for customers. The law of the handicap of a head start does apply here. It’s amazing to see the innovative solutions, for instance, banks and insurers in Russia, Brazil and India already do offer to their clients. Finovate: Security and privacy are major issues online these days, especially around financial information. How are you addressing these issues? van den Broek: Figlo does offer cloud solutions, running on the secured and Microsoft Azure Platform. It offers the most professional and secured environment currently available. Data is always stored in a secure environment, never on a device, so we even think that this is more secure than any other financial advisory solution available. However, we also offer the platform on premise to be able to offer tailored solutions. 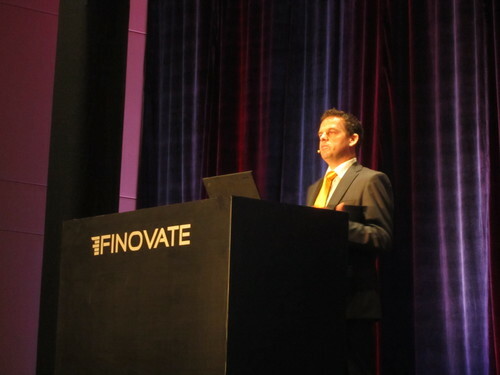 Finovate: What has been the biggest challenge you have faced since becoming CEO of Figlo? How did you overcome it? van den Broek: Delivering state-of-the-art applications is key for Figlo, however, you have to realize that the market is not always ready for the latest and greatest solutions. That basically means that timing is the hardest part. Sometimes I did feel that we were too far ahead, giving us sometimes a hard time to convince the industry that financial advisory will fundamentally change. Luckily, we’re now gaining momentum, and our vision to simplify financial advisory applications, integrate the whole financial picture and offer it to the global market proved to be right. Tenacity, stay true to your vision, together with a dedicated team it will finally bring you where you want to be and you will achieve your dreams. Finovate: What advice would you give a young entrepreneur in the fintech industry? van den Broek: A lot of new, young fintech entrants have the tendency to focus too much on features, neat UI’s, and the product. They forget to focus on the business case for the financial industry. What’s in it for the client? How does it drive more sales or lower costs for them? Try to focus on the ROI rather than too much on the ‘cool’ factor of your solution. Finovate: Can you give us a sneak peek of what’s next for Figlo? To learn more about Figlo, watch its FinovateEurope 2012 demo. Stay tuned for another CEO interview next month.